strong tea when needed most. Here’s three of the most common, safe and effective relaxing herbal teas we use at Herbosophy. 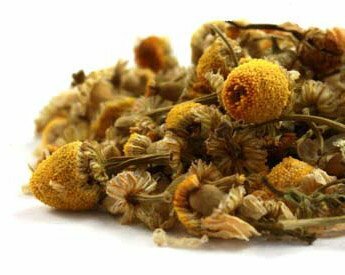 Chamomile, probably the most widely used relaxing herb in the Western world, is safe for use in all types of anxiety and stress-related disorders. It relaxes the nervous system, and is especially valuable when anxiety and tension produce digestive symptoms, such as gas, colic pains, and even ulcers. Chamomile makes a wonderful late-night tea to ensure restful sleep. It is helpful for anxious children or teething infants when consumed or added to bathwater. For an infusion, infuse 2 to 3 teaspoons of herb in 1. cup of boiling water for 10 minutes in a covered container. relieve insomnia. It has a depressant effect on the central nervous system and acts as a hypotensive. Passionflower is the herb of choice for intransigent insomnia. It eases the transition into restful sleep without causing any next-day hangover. To make an infusion, pour 1 cup of boiling water over 2 to 3 teaspoons of dried herb and infuse for 15 minutes. Drink a cup in the evening for sleeplessness or 1 cup twice a day for other indications. When I’m feeling frazzled or my mind is on overdrive, Skullcap is my go-to herb. Skullcap is perhaps the most relevant nervine available to us in the Western materia medica. It effectively soothes nervous tension while renewing and revivifying the central nervous system. It has a long history of traditional use for the control and treatment of petit mal seizures. Skullcap may be used with any condition associated with exhaustion or depressed states, and to ease premenstrual tension. To make an infusion, pour 1 cup of boiling water over 1 to 2 teaspoons of dried herb and infuse for 10 to 15 minutes. This should be drunk three times a day or as needed. There are others of course, such as Lemon Balm, Californian Poppy, Motherwort, Valerian, etc, but these three are our favourites, both in effectiveness and taste. Although, remember a teaspoon of honey and lemon never goes astray if the taste isn’t to your liking. 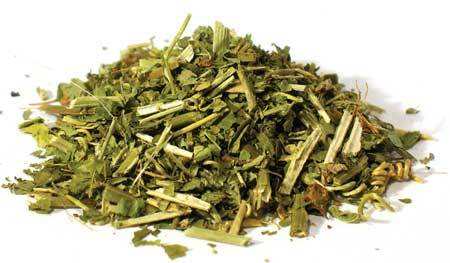 A great way to harness the benefits of two herbs simultaneously is to create a blend. Do you have any other favourites that work for you?